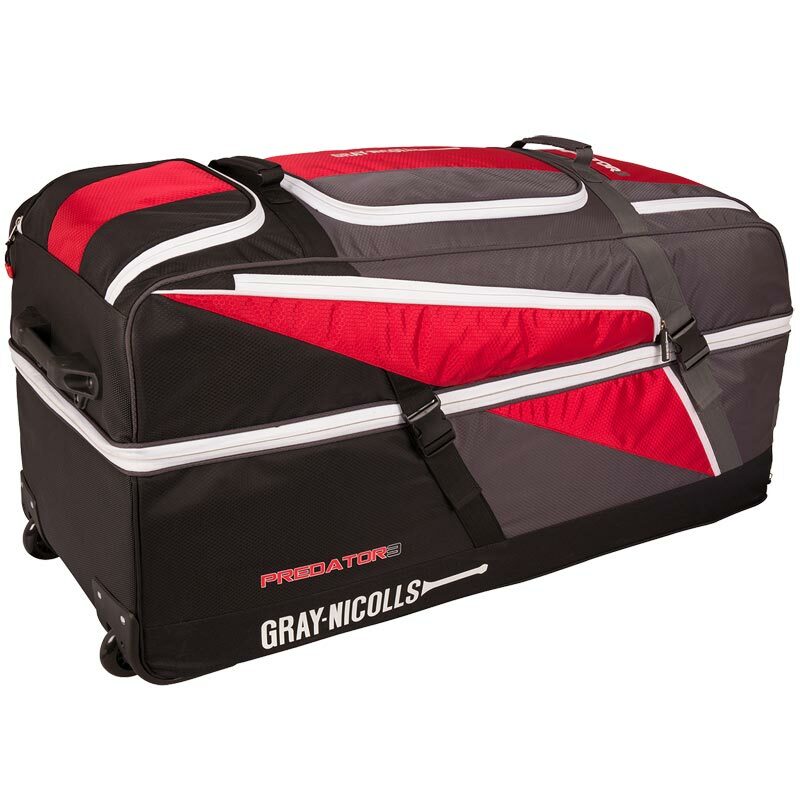 The Gray Nicolls Predator 3 1500 Wheelie Holdall has the ability to hold everything a cricketer may required, regardless of their role on the field. 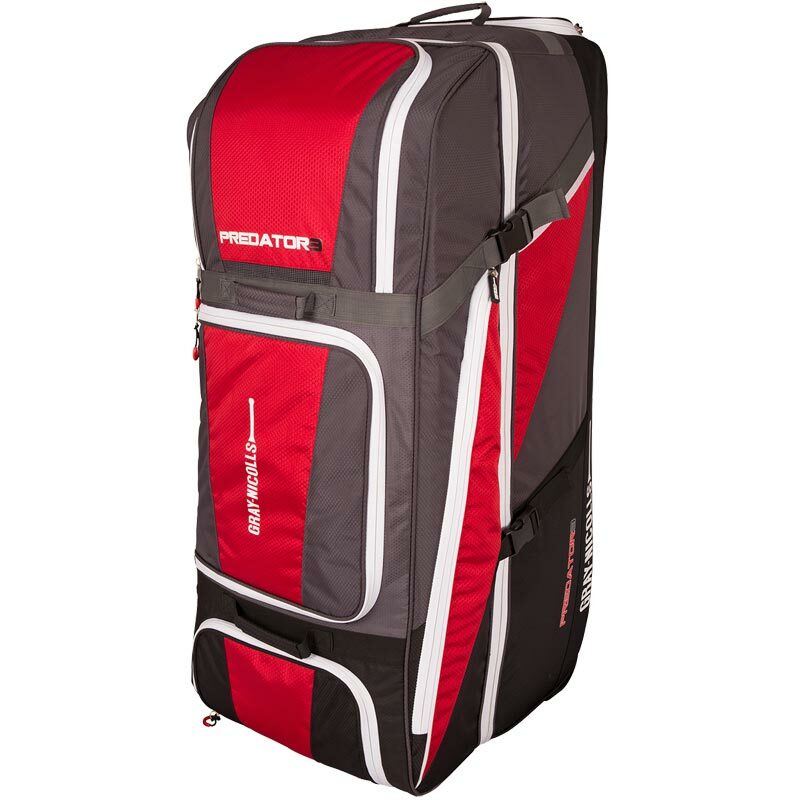 The colossal storage capacity in the split top design accommodates for every piece of cricket equipment a cricketer may have including separate compartments helping you organise your bag for easy reuse. Shoe, helmet and valuables pockets. 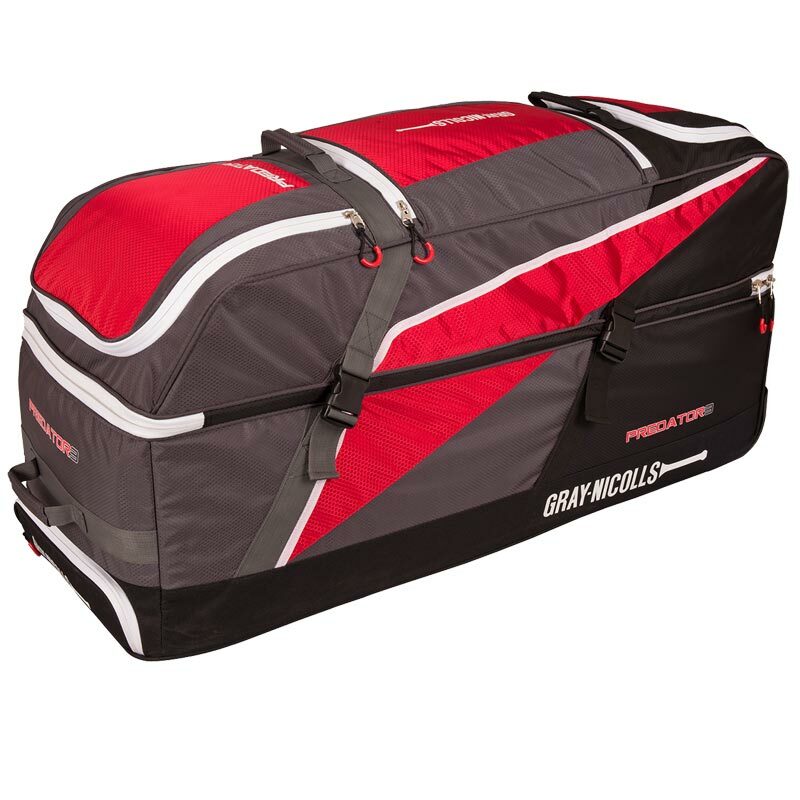 Multi pocket storage solutions, 7 pockets. Stand up or lay down design.